We talk a lot about earned media on our blog – and rightfully so, it’s an extremely important aspect of your marketing efforts, or rather it should be. Several marketers don’t plan to earn any media throughout the year, but when they do, they know how significant it is for their brand. We’re here to help make 2017 be the year of change. 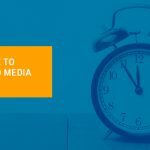 Marketing plans are likely already drafted, editorial calendars already set for Q1 and budget is being finalized – now, it’s time to set your earned media strategy before the year begins. Like with any marketing strategy, your earned media plan needs to be documented to be relevant. We’ve outlined the high-level points that your strategy should include to set yourself up for success. If you’ve ever heard or read anything from Joe Pulizzi, he will consistently discuss the importance of setting goals – whether it’s life goals, content marketing goals or goals for your earned media strategy, you’ve got to have them and they need to be written down. Take the time to reflect on your business, your previous earned media success (or lack thereof) and outline specific, attainable goals for 2017. If I outline the two goals below, you will notice that the more specific objective gives direction, time and action to take. Option 1: Increase earned media for our business in 2017. Option 2: Reach out to digital publications/blogs once a week to obtain earned media. The second goal is attainable, gives a timely approach and dictates an action to be taken, whereas the first option is what I like to call a “fluffy goal”, something that we all hope to do – but we can’t execute. Don’t skip this step – it’s the most important part of laying out your earned media strategy. 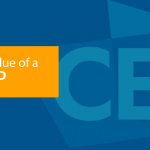 When it comes to earned media – there are several opportunities out there waiting on YOU. Think of these as “low-hanging fruit”. You likely have a list of publications that are specific to your audience, right? Do some leg-work and research the award programs they release every year. 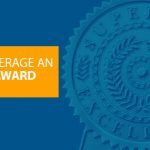 Did you know that to be in the running for these awards, you might have to submit an entry form or supporting documentation? One of the easiest ways to manage this is making an editorial calendar of award opportunities throughout the year. Don’t just list these in an excel document – put them on your calendar. Give yourself a few weeks advance so you’re sure to get everything submitted on time. Outlining your actual opportunities gives you a plan of attack – which is essential to being successful in 2017. If you’re doing any outreach efforts tied to your SEO campaigns – this is also earned media. Make it a point to get link backs and quotes mentioned throughout other digital posts. Identify a list of 20 industry related blogs and begin building a relationship with them. Don’t give them a cold email asking for a mention – build rapport with the writer using one of the most powerful tools for communication, social media. This will help build common ground so that you start to see earned media results. This same application can be applied to social media and generating earned media on those channels. Simply identify your target list, start building a relationship and create synergies for your earned media efforts. Every marketing initiative needs to be measured. Send an email campaign? Or worse, send an email campaign that failed? Measure it. Analyze the results. Take action for your next campaign. When you see what channels are generating results, you can take action to invest necessary resources to make them even more successful. Earned media is a powerful tool in your overall marketing strategy. Learn how to obtain it and then take advantage of it by leveraging it across your marketing campaigns.